Gabriel Iglesias is an American comedian, actor, writer and producer. Popularly known as Fluffy. Iglesias is one of America’s most successful stand-up comedians and belongs to a small elite group of artists who have been able to sell out the Staples Centre, Madison Square Garden, and the Sydney Opera House. His exuberant comic style combines elements of storytelling, parodies, and sound effects and is mostly based on his life experiences. Get to know more about Fluffy here including his net worth, his son Frankie, girlfriend etc. Bio – Who is Gabriel Iglesias? Gabriel Jesus Iglesias was born on the 15th of July 1976 in Chula Vista, California. He grew up in various parts of California which was where he had his education. After high school, Gabriel Iglesias rejected a scholarship that would have seen him become a teacher in order to focus on his career in stand up comedy. He performed wherever he could find a willing audience including biker bars and obscure clubs. Success did not come overnight and he had to work various jobs to survive. From these modest beginnings, Fluffy has grown to become one of America’s most popular comedians today. He has performed at numerous concerts, not just in his native America but also all over the world. Some of them are FluffyMania World Tour: 20 Years of Comedy, One Show Fits All. He also had a hit show on Comedy Central titled Stand-Up Revolution from 2011 to 2013. In addition to these, Gabriel Iglesias has sold out millions of DVDs of his comedy specials such as Hot & Fluffy, I’m Not Fat…I’m Fluffy, Gabriel Iglesias: Aloha Fluffy etc. The comic has also utilized the power of the social media very well. He is one of the most watched comedians on YouTube with over 300,000,000 views. Asides from comedy, Iglesias is also an actor. He has appeared in movies (Magic Mike, Magic Mike XXL and A Haunted House 2), animations (Coco, Show Dogs, Ferdinand, The Star, The Book of Life, The Nut Job and Disney’s Planes) and TV series (Cristela, Modern Family and family guy). The Hollywood Reporter included him on their list of top 40 comedy players of 2018. What makes Gabriel Iglesias appealing to a wide range of audiences is that his material focuses on everyday life experiences and avoids controversial areas such as politics or religion. 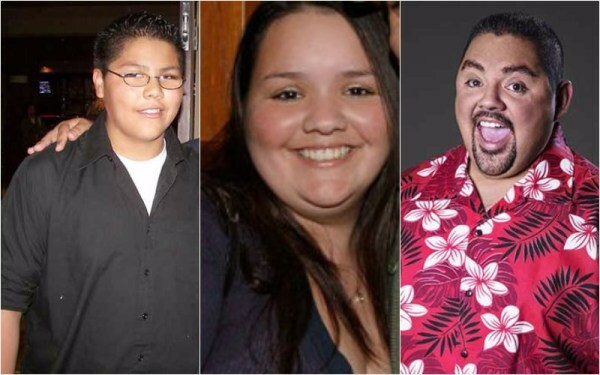 Gabriel Iglesias is not married for now but he has a girlfriend who he has been dating for a very long time. Even though he has fought ‘tooth and nail’ to protect her identity, we do know that her name is Claudia Valdez. She is an actor and is best known for her role in the 2010 British Sci-fi horror film Monsters. They reportedly started dating in 2008 and have been together ever since then. Given the longevity of their relationship, one can be sure that they will definitely head down the aisle someday. Part of the reason he is referred to as Fluffy is because of his ample size. At his heaviest, Gabriel Iglesias weighed 445lbs or 202 kg. His blood sugar level was through the roof and the doctors told him that he would not live long if he does make a lifestyle change. The 2015 diagnosis was a wakeup call, and with the help of his lady and other friends, he went on a weight loss regimen. He cut down on drinking and resorted to eating healthier meals. Iglesias has a son named Frankie, who was born in December 1997. It must be noted that Frankie is not his biological son but Claudia’s son from a past relationship. However, the way he gushes about Frankie on his social media accounts will leave you in no doubt as to the love he has for him. His day to day interactions with Frankie is sometimes woven into his jokes. He has also said in one of his tweets that Frankie will be his only son, but one may not take this serious seeing that he is a comedian. Iglesias’ parents are of Mexican origin. His mother’s name is Esther P. Mendez while his father’s name is Jesus Iglesias. He has five siblings, all of whom are older than him. He and his siblings mostly grew up with their mom after their dad bailed on them. The young Iglesias did not have a rosy childhood, the family struggled to make ends meet and as such he had to develop a personal sense of humor to cope with their situation. Till date, he sometimes references his family struggles in his materials. Gabriel Iglesias is one of the top-earning comedians in the US. He has a net worth of $30 million. The boy who grew up in government subsidized housing has certainly done well for himself. His sources of income are most ostensibly his comedy tours, DVD sales, movies, and TV shows as well as his own shows on comedy central and Netflix. So what does he invest his money in? Well, he has an enviable collection of Volkswagen buses. He buys them and restores them. The buses are up to 18 in number and are valued at $3 million.